Nickels is proud to be a Canadian manufacturer that serves western Canada and the United States exclusively through a network of authorized cabinet dealers. Quality, in its various forms, is distinguishable by those who exhibit keen insight and perceive the subtle characteristics found in skilled workmanship. The Nickels team is meticulous about every element needed to craft fine furniture-quality cabinetry. You can count on us to care about those subtle details – from concept to delivery – along every step of our process. Check out our website for kitchen and bath fixtures for your next project! CANTU is a decorative plumbing & hardware showroom. We specialize in bringing unique products into Western Canada unlike any other company in the market. Our employees pride themselves as being the best in the industry. Founded in 1978 as an importer of high quality European cabinets and furniture, Cantu has evolved over the years to become one of the leading showrooms for decorative plumbing and hardware in North America. Since inception, Cantu has always kept to the original goal of providing the highest quality products from leading design manufacturers from around the world. This has invariably lead Cantu to source most of its collections and products from Europe, where the newest trends and products are conceived, and constructed. This astute appreciation of design is found within the walls of Cantu's showrooms, where the wide range of products exist in an environment designed to give each item the chance to be appreciated on its own, as part of a design suite, or in the broader terms of market design trends. In both of our design showrooms you will find fully functional items, but the quantity of fully functional kitchen and bathroom pieces in the Vancouver showroom has set a standard for the industry that no one can match. The Cantu team comprises industry experts in hardware and plumbing. Many individuals on staff have over 15 years experience each, the quality of knowledge is second only to the quality of products. Cantu has developed a unique marketing program for interior designers and architects, builders and tradespeople, as well as consumers. With a focus on the leading trends and best practices in the industry through Cantu is uniquely positioned to meet the particular requirements of a diverse and discriminating clientele. Please do not hesitate to contact us if you need help sourcing or specifying anything plumbing or hardware related for your next project. We are a registered KOHLER, HANSGROHE, BRIZO, AQUABRASS, RIOBEL, NATIVE TRAILS, RUBINET distributor and a top tier Next Generation KOHLER Showroom. Showroom Locations: Vancouver - 2835 East 12 Ave, Vancouver, BC, V5M 4P9 Langley - 104-19545 56 Ave, Langley, BC V3S 6K3 Richmond - 1-13520 Crestwood Place Richmond, BC V6V 2G2 Whether you're working on a renovation or a new home build Artistic Baths is the place to come for quality and professional service. Siema began serving the industry by taking on renovation projects of all sizes. Our offering was soon enhanced with the ability to supply stylish imported fixtures and accessories . Our approach, since day one, has been to treat people with respect, and to provide superior value. Today Siema has evolved to Siema Kitchen and Bath and Siema Renovations to better serve the industry. Siema Kitchen and Bath specializes in the most elegant and desirable design in pre-made bathroom vanities in the lower mainland. We carry over 70 designs of the most Unique and European designs in contemporary and traditional vanities available in the North American market today, and as we keep all our items in stock, the turnaround time for purchased items are no longer than 48 hours in almost all cases. Since 1984 Midland Appliance our locally owned and operated company has been committed to professionally servicing our client's needs. We strive to offer the latest appliance products in design,efficiency, performance and lifestyle with a commitment to green technology. 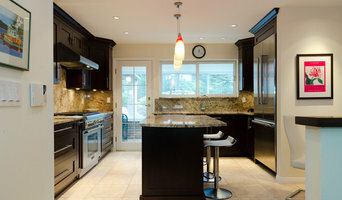 Kitchen Craft Vancouver manufactures and supplies custom cabinets for any space in your home. All of our kitchen cabinets and bathroom vanities offer you the perfect blend of aesthetics and performance, creating inviting spaces for your family and friends to enjoy. Precise craftsmanship paired with 40 years experience guarantees your custom cabinetry solution fits beautifully into your new or upgraded space. Our cabinets are also eco-friendly, using only 100 percent recycled materials and hardwoods from certified sustainable foresters for a greener tomorrow. Homemax offers you a wide range of residential and commercial home products to choose from based on your personal tastes and budget. We specialize in kitchen cabinets, Kitchen Islands, Wall Units and Entertainment Centers ranging from laminate to elegant solid wood designs which are functional and look fantastic in any Vancouver home or office. What started as an accidental business in 2006 has grown into a thriving import business that supplies designers, contractors and homeowners throughout Metro Vancouver and across Canada. It all started when our two year old got pneumonia for the third time and we began to suspect that our old shower was not only ugly but also a home for mold. We did what everyone does and started to shop around at the big box retailers for a replacement. We were discouraged with what we found and opted to import an entire container of bathroom products, selling off what we didn't need. We were impressed with the quality of the vanities and had requests from friends to bring in more. Since then the business has grown, thanks to a steady stream of referrals, into the business we have now. Our focus has been on getting a great product and selling it at an affordable, all-inclusive price. We have been able to offer low prices because we maintain a low cost sales approach. For the first few years we sub-let a very small, and rather dingy, storage space from an automotive business. Since we started we have moved 4 times, each time into a larger space so we can carry a larger selection and more stocj We have had the same supplier for the past 8 years and we are continually working with them to upgrade the products by adding features such as higher quality full-extension drawer slides, full wood frame mirrors, etc. During the past 6 years we have also sourced out separate suppliers for sinks and faucets so that we can offer products that are compliant with Canadian standards. Our supplier is open to our suggestions for new product designs so we frequently design products based on customers feedback or requests, resulting in many products that aren't available elsewhere. At Vanity Vancouver, we always carry premium quality products of the latest trend at an amazing wholesale price range. Our vision is to develop products based on the concept of sustainability. Our dedication to this principle and philosophy of manufacturing with the lowest possible impact on the environment, while using the most advanced technologies, has earned Vanity Vancouver a reference point in the bathroom vanity industry. And at Vanity Vancouver, we are dedicated to bringing you an one-stop shopping experience. By that we present to you not only a wide range of product lines, but also the designs themselves, and the lifestyles they create! Through careful pairing and matching of every component, you need not worry about running around trying to just mix and match. Every element you see is included in the vanity set to maximize visual explosion. Our products are featured in high-end residences, condominiums, posh lounges, clubs, and restaurants around town! So please, indulge yourself in the space you envision with our latest product lines and let our team of professionals help you with your bathroom solution and bring to you the contemporary and minimalist bathroom vanities for a price you won’t believe with top quality assurance!!! Premium Quality at Affordable Price, Guaranteed! Since 2001, Buyer’s Market has offered high-quality products, unique styles and personal help to home remodelers. Situated on the corner of Iowa St. in Bellingam, WA, we offer everything for your bathroom, kitchen, and home remodel projects—doors, cabinets, plumbing fixtures, flooring, and much more! We focus on customer service, quality, and value so you get good advice on great products at wonderful prices. We work with a huge number of vendors to keep our selection fresh, fun and affordable. We have: - All-wood kitchen cabinets - Bathroom vanities and tubs/showers - Over 3000 doors in-stock - Thousands of flooring option: laminate, tile, bamboo & more - Cabinet pulls and knobs - Door hardware - Bath hardware - Thousands of plumbing fixtures - Great selection of lighting, bamboo products, and fun gift items Visit our web site at www.Buyers-Market.net to learn more. Canadian made, female owned, innovative and high quality bathroom & kitchen products. "You dream it, we create it." Our mission is for affordable luxury with Canadian made quality! At Valley, we strive to provide the international bath market with new and innovative bathroom products manufactured to the highest standards. 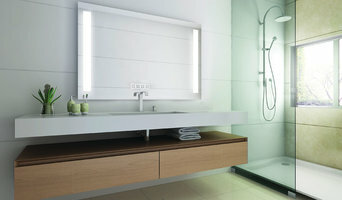 Valley manufactures a full line of acrylic bathtubs, showers, modular bathing systems, shower receptors and fixtures. Located in Mission, British Columbia, Valley aims to become an industry leader setting out the highest standards in quality and design. Use the Houzz Professionals listings to find North Vancouver, BC kitchen and bath accessory vendors. Don’t rule out asking a kitchen manufacturer’s design team for help, too. Skills often can be overlapped to save you time and money! Here are some related professionals and vendors to complement the work of kitchen & bath fixtures: Kitchen & Bath Designers, Kitchen & Bath Remodelers, Interior Designers & Decorators, Cabinets & Cabinetry. Find kitchen and bath fixtures and accessories, plus installation experts, on Houzz. Check out British Columbia kitchen products and installers, and bath plumbing products and installers, on Houzz. You can also look through project photos provided by North Vancouver, BC renovators, retailers and designers.